TV Games Cast is the biggest Chromecast games portal. From now on you will never be bored again - enjoy our games in the comfort of your living room and on your travels. You can play our games on a TV screen with your mobile phone on any cast device: Chromecast (1, 2, Ultra), Android TV or TVs with built in casting hardware (e.g. Vizio, Skyworth, SONIQ). How does it work? 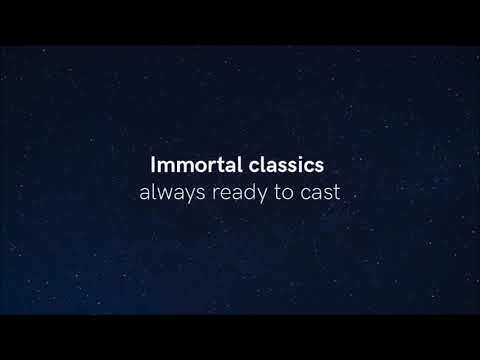 It is simple: You start the application, press the "Connect" button and we will stream the game to your cast device. You use your mobile phone as a gamepad controller. We offer 10 games with performance optimized for the Chromecast devices and we guarantee one new game every month. Do not forget to follow us on Twitter @TVGamesManiac to get the latest information on what we are currently working on! Good collection of retro games to play. Just needs more ganes. Doesn't work. I cast the screen, but controls on phone aren't reflected on TV so can't select games. Tried on multiple Chromecast v1 and V2. Using Pixel 2 XL.